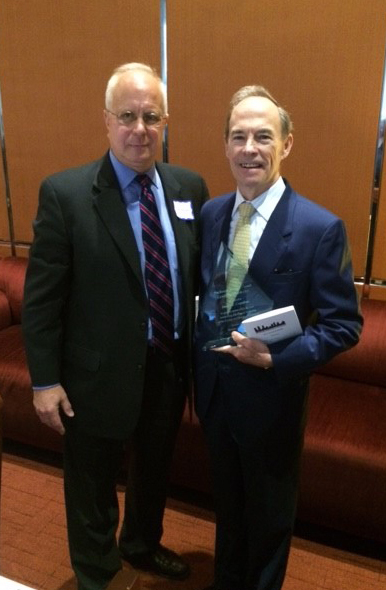 Jim Capalino, CEO of Capalino+Company, was honored by the Zoning Advisory Council at their annual breakfast on October 15, 2015 for demonstrating outstanding and diligent leadership of the zoning and planning community. 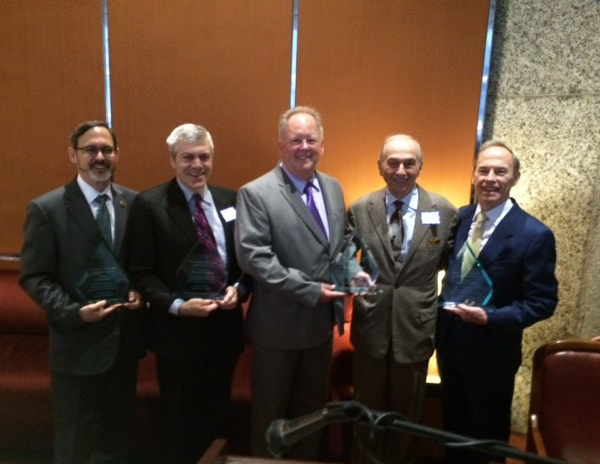 The award ceremony recognized individuals who have made a positive impact on New York City. Presented with an award from Edward Sawchuk of the Zoning Advisory Council, Jim was recognized for making a significant contribution to New York City throughout his nearly 40 year career as one of the most successful urban policy strategists and land use consultants in the City. This award acknowledged Jim’s work as a key strategist in launching some of the City’s most widely recognized developments that have enhanced the city and transformed its landscape over the past four decades. Among the most notable include the High Line, MetroTech, Riverside South, West Side Rail Yards and the rezoning of Coney Island, Kingsbridge Armory and West Harlem. Capalino+Company has provided land use planning services to many real estate development firms in New York City, as well as other large companies in the technology, solid waste, environmental and the not-for-profit sectors. Jim joined three other honorees at the award ceremony: Wilhelm Ronda, Director of Planning at the Office of the Bronx Borough President; Martin Rebholz, Manhattan Borough Commissioner of the Department of Buildings; Winston Von Engel, Brooklyn Director of the Department of City Planning. The breakfast, which was emceed by Zoning Advisory Council President Sheldon Lobel, featured keynote speaker Commissioner Rick Chandler of the Department of Buildings. He emphasized his plans to reduce plan review times, modernize the department processes and enhance enforcement against those who skirt the building code. “Jim Capalino had set the gold standard for City and State Lobbyists” said Public Advocate James. As Founder and CEO of Capalino+Company, Jim has overseen the growth of the most well-respected lobbying and strategic consulting practice in New York City. Prior to founding Capalino+Company, Jim managed former Mayor Koch’s first and second campaigns. Mayor Koch named him Commissioner of the Department of General Services at the age of 28 making him still the youngest Commissioner in New York City history. To learn more about Jim Capalino, read his full biography. Capalino+Company congratulates the fellow honorees whose hard work and leadership are significantly impacting the long term vitality of New York. The Zoning Advisory Council was formed in 1961 when New York City adopted a major amendment to the Zoning Resolution. The Council was organized by architects, engineers, lawyers and others involved in the zoning and land use process, with the objective to create a harmonious relationship with NYC agencies involved in the planning and development process. Since then, ZAC has held seminars and meetings with its members and the City land use agency officials to present constructive suggestions to the DOB, Board of Standards and Appeals, Department of City Planning and other involved agencies.